When Taisy was almost an adult, her family fell apart when her father left her mother and additionally disowned her and her twin brother, Marcus. Dad then married his mistress and had a new child, Willow, whom Taisy has only seen once, in infancy. The new family is everything Dad wanted, and Taisy – now in her mid-30s – has done her best to leave these scars in her past. When Dad calls out of the blue and asks her to come stay with him, everyone’s lives start to unravel. The Precious One is told from alternating points of view. First, we have Taisy’s story, in dealing with her past for the first time in seventeen years. She has to confront the childhood friend she betrayed. She deals with jealousy with regards to the new, perfect family. She’s on a mission to discover the truth about her dad’s past. Then there’s Willow, who has been thrust into public life, unprepared, for the first time after the heart attack that brought about this whole series of events. She feels betrayed by having to attend private school (instead of the homeschooling she’s had her whole life). She’s worried about Taisy and why Dad wants her to come. She feels guilty and responsible for Dad’s heart attack. This was exactly the story I needed right now. 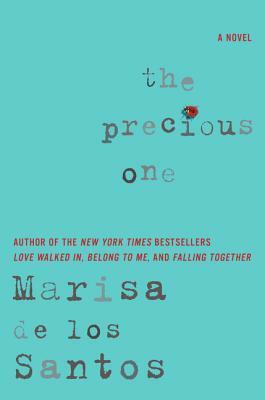 I’ve loved Marisa de los Santos since discovering her books all the way back in my first year of blogging, in 2008. Her books are comfort-books for me, delicately written, addressing many topics in a subtle and competent way. I never feel like they are over the top, or tackle too much, or moralize. She knows exactly how to write characters to make them very real. This book was exactly that, and I loved it so, so much. One personal note: I’d started listening to the audiobook of Middlemarch before this book, and decided I wasn’t quite in the mood for it. Then it turned out that Middlemarch was a huge thematic element in this book and that the text gave away pretty much the entire story. So if you don’t like spoilers and you haven’t read/want to read Middlemarch, you might consider doing so first. For me, I don’t mind spoilers with this particular book, and now – thanks to The Precious One – I’m looking forward to going back to my audio of Middlemarch in the near future. Performance: The audiobook is read by Arielle Delisle and Abby Craden. The performance didn’t detract or enhance the book in any way for me, to be honest. I’m not generally a fan of the way audio narrators read teenage voices, so the Willow sections were a bit much for me, but that didn’t diminish the book the way a bad performance would have. It just wasn’t particularly noteworthy, either. This entry was posted in 2015, Adult, Prose and tagged audio, comfort, dream-invader, psychology. Bookmark the permalink. That stinks that Middlemarch was ruined for you! I love that book.